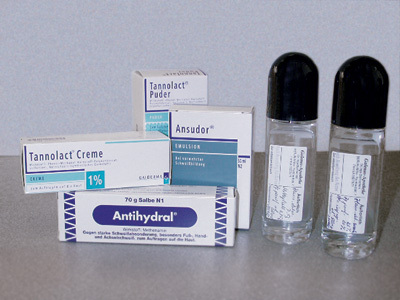 The following mentioned medication, applications and operative procedures show an example of the present therapeutic options against hyperhidrosis/bromhidrosis. The effect and the side effects of these medications and the operations are individual. Botulinum toxin type A (BT-A) was approved by the FDA in July 2004 for treatment of axillary hyperhidrosis not controlled by topical agents. BT-A is the most potent of 7 toxins (A-G) produced by the gram-positive bacterium Clostridium botulinum. Botulinum toxin exerts its effects by preventing the exocytotic release of acetylcholine. The reduction of cholinergic activity at the level of the sweat gland translates into decreased sweat production, and at the neuromuscular junction this manifests as the flaccid paralysis characteristic of botulinum. Although not approved for the treatment of hyperhidrosis, botulinum toxin B has been investigated for both palmar and axillary hyperhidrosis, with promising results. BT-A is the best studied treatment to date for focal hyperhidrosis. The efficacy of BT-A for axillary hyperhidrosis has been demonstrated in a number of trials. One popular and growing solution to Hyperhidrosis is to treat the condition using Iontophoresis therapy. Using Iontophoresis therapy, Hyperhidrosis can be treated successfully in most cases. This method of treatment does not require the use of drugs or surgery. Most importantly the treatment has very few possible side effects. In the early stages of treatment, the affected parts of the body should be treated once a day for about 10-15 minutes. Normally 5-20 treatment sessions are sufficient to reduce the moisture content of the skin to a normaly level. After this initial treatment, the frequency of the sessions can usually be reduced to once or twice a week. The unit is available with DC (direct current) or with PC (pulsed current). The Pulsed Current unit is a must for patients with sensitive skin or for use with children. The pulsed current designed allows for a more effective treatment – especially with underarm usage – this is because higher settings can be used whilst the level of irritation does not increase. A number of systemic agents have been used to address the sweating of hyperhidrosis. Most commonly, these have been anticholinergic agents that block the activation of sweat gland muscarinic receptors by acetylcholine. Agents used include benztropine, propantheline, oxybutynin, and glycopyrronium bromide. 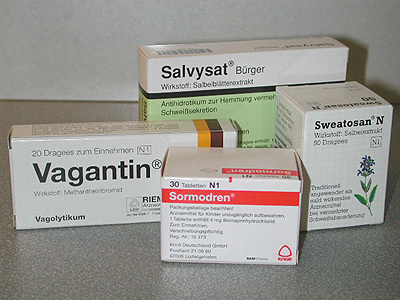 At doses required to control sweating, the use of these agents is limited, however, by side effects, which include constipation, urinary retention, dry mouth, and visual disturbances. Benzodiazepines have also been used in an attempt to address the emotional component of sweat production stimulated by stressful situations, but the use of such agents is limited by sedation and the risk of dependence. Case reports documenting successful use of the sympatholytic clonidine have been published, but the available data are sparse. A number of surgical approaches to the treatment of hyperhidrosis have been documented. These include surgical sympathectomy, excision of axillary sweat glands, curettage of axillary tissue, and liposuction. The most invasive procedure for treatment of hyperhidrosis is the surgical division of the sympathetic chain in an effort to permanently interrupt sympathetic innervation to an area of the body. The sympathetic fibers innervating the palm and axilla arise from the T2 to T4 ganglions of the upper dorsal sympathetic chain. Lumbar sympathectomy for plantar hyperhidrosis is not performed due to the potential for sexual dysfunction following the procedure. Interruption of the sympathetic chain has been a documented technique for treatment of palmar hyperhidrosis and to a lesser extent axillary hyperhidrosis. Aluminum salts are the most common antiperspirants in use today and remain the first-line therapy in hyperhidrosis. Aluminum chloride (AlCl) is a partially neutralized form available in OTC preparations, whereas AlCl hexahydrate is one of the most effective antiperspirants available. Aluminum chloride hexahydrate is available in concentrations of 15% or less in OTC formulations. Higher concentrations are available by prescription. Aluminum salts appear to exert their effect by obstructing the ductal component of the sweat gland. In the battle against unsightly sweat stains on clothing, there are along with to the application of aluminum chloride or industrial products, completely natural remedies such as axillary pads or functional shirts. This is not a specific form of therapy but rather a lamination of the axillary sweating, but with a positive result as good as in the medical, cosmetic or even surgical options. Primarily a treatment or actually application without any medical intervention on your body. 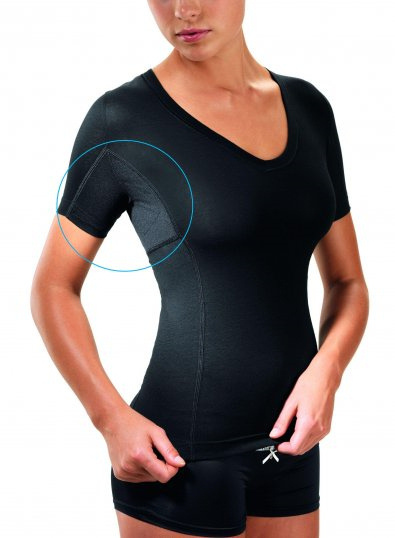 These sweat absorbing undershirts or polo shirts are of high quality with a built-in pocket for normal tissues for absorption of underarm sweat and a liquid barrier in the armpit area.